Today’s children have grown up with a vast array of electronic devices at their fingertips. They can't imagine a world without smartphones, tablets, and the internet. The advances in technology mean today's parents are the first generation who have to figure out how to limit screen time for children. While digital devices can provide endless hours of entertainment and they can offer educational content, unlimited screen time can be harmful. The American Academy of Pediatrics recommends parents place a reasonable limit on entertainment media. 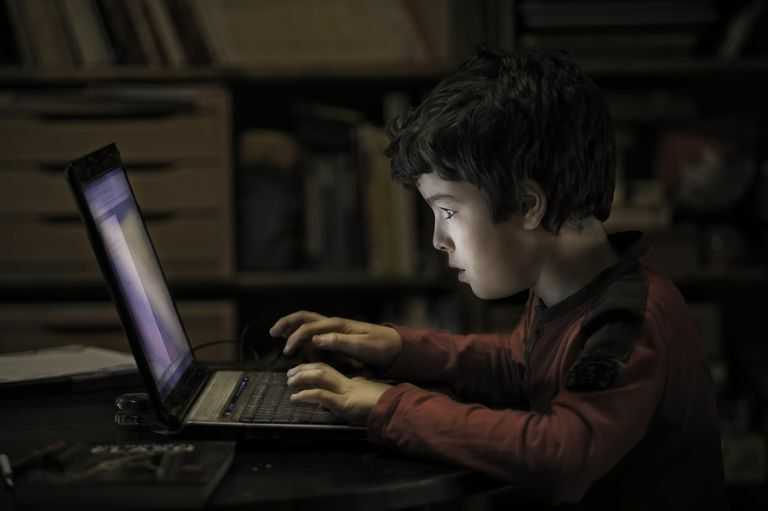 Despite those recommendations, children between the ages of 8 and 18 average 7 ½ hours of entertainment media per day, according to a 2010 study by the Henry J. Kaiser Family Foundation. But it's not just kids who are getting too much screen time. Many parents struggle to impose healthy limits on themselves too. The average adult spends over 11 hours per day behind a screen, according to the Kaiser Family Foundation. So it's important to understand how too much screen time could be harming everyone in the whole family. Obesity: Too much time engaging in sedentary activity, such as watching TV and playing video games, can be a risk factor for becoming overweight. Sleep problems: Although many parents use TV to wind down before bed, screen time before bed can backfire. The light emitted from screens interferes with the sleep cycle in the brain and can lead to insomnia. Behavior problems: Elementary school-age children who watch TV or use a computer more than two hours per day are more likely to have emotional, social, and attention problems. Excessive TV viewing has even been linked to increased bullying behavior. Educational problems: Elementary school-age children who have televisions in their bedrooms do worse on academic testing. Violence: Exposure to violent TV shows, movies, music, and video games can cause children to become desensitized to it. Eventually, they may use violence to solve problems and may imitate what they see on TV, according to the American Academy of Child and Adolescent Psychiatry. Most of the conversations about the dangers of screen time focus on children. But, it's important to recognize that adults may experience many of the same harmful effects as well, like obesity and sleep problems. But even if you aren't experiencing any tangible health problems stemming from your digital device use, there's a good chance your electronics could be harming your relationship with your child. In a 2015 survey by AVG Technologies, one-third of children reported feeling unimportant when their parents looked at their smartphones during meals or when playing together. Even replying to a quick text message could be sending your child another message—that your phone is more important than he is. Giving your child interrupted care—by repeatedly checking your smartphone—could also affect his development and his mental health. A 2016 study suggests looking at your digital devices could increase your child's chances of developing mental health problems, like depression. Telling your child to turn off his video games while you're sitting in front of the TV won't do anyone any good. It's important for you to set healthy limits on your electronics use for your own sake, as well as your child's sake. No digital devices during family meals. No screen time in the car. No screens allowed in bedrooms. No electronics use during family fun nights. In addition, consider an occasional digital detox for the whole family. Create a screen-free night once a week or commit to unplugging one weekend a month. It could be good for everyone's physical and emotional health, as well your family's relationships. The American Academy of Pediatrics. Media and Children. The American Academy of Pediatrics. More TV Before Bedtime Linked to Later Sleep Onset in Children. January 2013. Molet J, Heins K, Zhuo X, et al. Fragmentation and high entropy of neonatal experience predict adolescent emotional outcome. Translational Psychiatry. 2016;6(1).